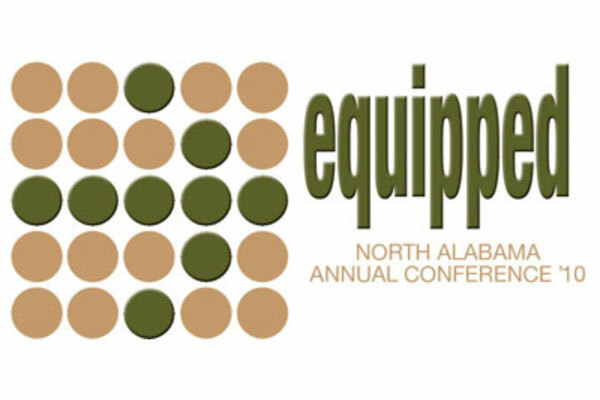 Click here to download your 2010 North Alabama Conference Journal from the online Journal Library. On June 3, 2010, members of the North Alabama Conference gathered at ClearBranch UMC. The day began with a family picnic. There were grilled hamburgers, games for the children, live music, mission projects and mission displays. This was a designated time for Conference members to gather and fellowship, catch up with new friends and make new connections. Following the picnic there was a dialogue session for those interested in being delegates to General and JurisdictionalConferences in 2012. Gloria Holt and Bill Morgan led the session. Following a dinner break, members of the Conference then gathered at Huffman UMC for the Memorial Service. This special time of worship is a time the Annual Conference remembers those clergy and clergy spouses who have died in the last year. Rev. J. Duncan Hunter Jr. The North Alabama business session will convene at ClearBranch United Methodist Church on Friday, June 4. The 2010 North Alabama Conference opened on the morning of June 4, 2010, at ClearBranch United Methodist Church. The focus of the Conference is one of the five Conference priorities -- Effective Leadership. After Bishop William H. Willimon called the Conference to order, Conference Secretary Rev. Sherill Clontz set the bar (areas where voting members may sit to have their votes counted) of the Conference. The first report presented was the Statistician’s Report. Conference Statistician Rev. Lori Carden noted that the report did not contain good news. She explained that the numbers in every major area for the Annual Conference (membership, worship attendance, baptisms, etc) saw declines in 2009. Following the sermon, Rev. Steve West told the story of Moses through song. Conference Secretary then led members of Annual Conference through the organization of Conference and setting the consent agenda. Members then divided into the Clergy Executive Session and the Lay Orientation Session. This is the only time clergy and laity meet separately during the Annual Conference. Following a lunch break, members were called back into the Worship Center as Worship Leader Rev. Bruce Williams led the gathering music. He was accompanied by Dr. Anthony Powell on piano. Using 21st century technology, missionary John Funk opened the afternoon session with prayer via Skype. He and his wife Suzanne are missionaries from North Alabama serving in Bolivia. The Conference approved the consent agenda and Conference Secretary Sherill Clontz shared the results of the worldwide vote of the United Methodist Constitutional Amendments. Members to the North Alabama Conference voted on those amendments at the 2009 meeting. Dr. Bill Brunson then presented the report of the Board of Ordained Ministry (BOOM). The Board also recognized those pastors who were memorialized during the Thursday night memorial service. Dr. Bill Brunson then made a special presentation to the family Rev. Matt Miller. Matt was in the process of applying for Provisional Member when he died in January. He had turned in all his materials and the Board was able to review them. He was given honorary provisional membership in the North Alabama Conference. The Board then recognized 27 newly licensed local pastors. Bishop Willimon welcomed them to the Annual Conference. At the conclusion of the Board of Ordained Ministry report Rev. Rick Owen was introduced as the new chair person of the Board of Ordained Ministry. Bishop Willimon then announced the clergy appointments were fixed and on the Conference website. The Conference then heard the report from the Office of Connectional Ministries. Rev. Dale Cohen, Rev. Lori Carden and Youth Leadership team president Amanda Annonio. They addressed how Connectional Ministries is attempting to adapt to do ministry in new ways to help churches do ministry in the 21st century. They mentioned the challenges of this adaption as Connectional Ministries staff and resources have been reduced. Rev. Carden also invited clergy and lay members to complete a local church ministry survey. During the Connectional Ministries time Rev. Matt Lacey and Rev. Mike Stonbraker made a presentation to Rev. Ray Crump the Director of the Disaster Warehouse in Decatur. The North Alabama Conference has reached out to help those facing disasters in Haiti, Georgia, Mississippi, Tennessee and those in Albertville and other areas of North Alabama. Rev. Mike Stonbraker read a proclamation from Alabama Governor Bob Riley in recognition of Rev. Crump and the volunteers from the Disaster Warehouse. The Conference then heard a report from Sumatanga. Chair of the Sumatanga Trustees Mike Byrne presented the report. He thanked the Conference for its support of the camp. Last year the Camp was near bankruptcy. Byrne announced that Sumatanga was debt free. He also announced that reservations and usage of the faculty is up. He then took time to thank outgoing Executive Director Bob Murray and to introduce new executive director Michael Coward. Conference Members then received an invitation from Rod Moss, Executive Director of Promise Homes (formerly UMRA). He thanked the Conference for its support of this ministry with adults with intellectual disabilities. He then invited them to enjoy ice cream as a gift from Promise Homes during the afternoon break. As members gathered following the break, Jerry Haas of the Upper Room shared a video with the Conference. The Upper Room celebrates 75 yrs in 2010. This year the Upper Room will print the 1 billionth copy of its daily devotional guide! The Conference then heard the report from the Council on Finance presented by Rev. Jimmy Basham. The Conference passed a budget for 2011 of $10,725,625. This is more than $130,000 less than the 2010 budget. The Conference also passed Reports 2, 3 and 8 from the Council on Finance. As the report closed, Bishop Willimon thanks all those congregations who paid 100% of their connectional giving (apportionments) in 2009. The Conference then heard the report from the Board of Pensions presented by Rev. James Haskins, Scott Selman and Sandy Reynolds. There was discussion of the Conference Health Care plan – HealthFlex. Insurance rates continue to increase due to the high risk group in which insurance companies place clergy. All the reports passed. Following the report a couple of moments of personal privilege were granted. Including a motion from the floor by Rev. Robin Scott and Dr. Bill Morgan who requested the Conference take $100,000 from its pension reserves to give in 5 equal payments over 5 years to Central Conference Pension Initiative. After much discussion the motion passed. The Conference then passed the Committee on Nominations report and electing officers. Ted Amey from Asbury UMC in Madison who offers 24 hour prayer ministry. Todd Owen is starting a new church from Aldersgate UMC in Huntsville. Matt Scott is starting a new church in the Margaret/Moody area and it is also out of ClearBranch UMC. David Luke is partnering with Aldersgate UMC in Birmingham for a new church start in Birmingham. Rev. Robert Sparkman then presented the Evangelism report. He recognized the Conference Denman Evangelism Award nominees and winners. The Conference winners are Walt Maddox (lay member of Forest Lake UMC) and Rev. Mike Pope (clergy). The Conference business session closed with an invitation by Rev. Alan Weatherly, pastor of Asbury UMC in Madison. He invited the North Alabama Conference to meet as Asbury in 2011. That invitation was accepted. Saturday morning started early with the Mission2Gather 5K Run / 1 Mile Fun Walk for Human Need started Saturday of Annual Conference. All proceeds benefitted Mission2Gather mission agencies and mission congregations of the North Alabama Conference working together to engage persons in mission and ministry to those in need. Rev. Bruce Williams led opening music as members gathered. Rev. Adam Hamilton opened up the morning session and explained that his goal for the day was for a leadership revival in North Alabama. He also told those gathered that he had been praying for this Conference and the local churches. He also explained that members of the Church of the Resurrection have been praying for every congregation in North Alabama. Individual members were each given a name of a local Alabama congregation and pastor and will pray for them during the month of June. During the three teaching sessions he focused on three concepts that are a part of vivrant churches. Those concepts were Effective Leadership; Effective Worship and Preaching; and Evangelism. In the morning he challenged both clergy and laity to be effective leaders not just managers. He noted that leadership requires a mission, vision and plan. After a morning break, Rev. Hamilton focused on the need for effective worship and preaching. He focused specifically on preaching. Noting that once Methodist Churches were known for the best preaching. He encouraged clergy to work toward that goal again by making sure worshippers learn at least one new thing a week. North Alabama United Methodists were called back to order following lunch as children participating in the Annual Conference Camp for Kids marched into the worship center and sang. Ben Nelson of Helena UMC led the children in music. Bishop Willimon noted that the Annual Conference Camp for Kids had come to be thanks to Conference Children’s Coordinator Elizabeth Nall. The Bishop added that the children’s camp is a way to make Annual Conference more lay and young people friendly. Following the lunch break, Bishop Will Willimon reported that nearly $11,000 was collected during the Ordination Service on Friday night for the Annual Conference Mission Offering. This year’s offering is going to the Central Conference Pension Initiative (CCPI) is a long-term solution that provides retirement financial security for retired pastors, lay workers and surviving spouses in Africa, Asia and Eastern Europe who are struggling to survive post retirement. Bishop Willimon also noted that he would give his Episcopal Rule regarding pastor consultations within 30 days. Adam Hamilton then spent this final session of his teaching time focusing on Evangelism and the Future of Methodism. He encouraged the crowd to think about three questions – Why do people need Jesus? Why do people need the Church? and Why do people need your particular church? Through telling his story and stories of others, Rev. Hamilton helped learners think through how to prepare for visitors; ideas for outreach; and how to disciple visitors to become church members. Saturday ended with the Commissioning Service. Rev. Bill Brunson, Chairperson of the Board of Ordained Ministry preached. He noted that the Great Commission Jesus gave in Matthew 28 is still our commission today – both clergy and laity. During the service, the Annual Conference commissioned 8 Provisional Clergy Members and recognized one elected to Associate Membership. Judy A. Shepherd was elected to Associate Membership. The service ended with a sending forth to both clergy and laity given by Bishop Will Willimon.